A recent NPR piece discussed the threat of climate change on bird populations and what that signals in our changing environment. 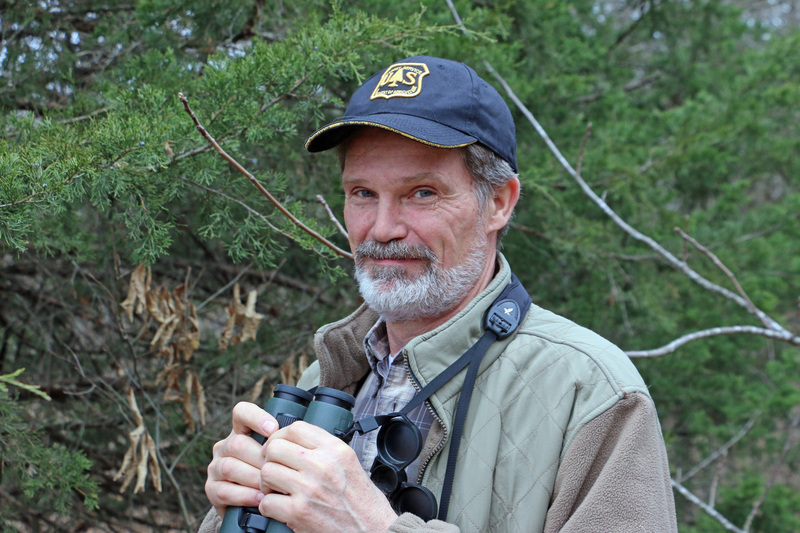 Frank Thompson, a professor in the Department of Fisheries and Wildlife Sciences at the University of Missouri’s School of Natural Resources, discusses the declining populations of songbirds. 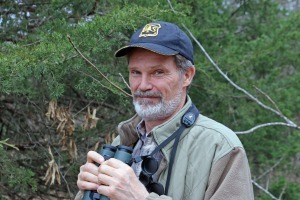 Frank Thompson is a scientist with the USDA Forest Service and an associate cooperative professor in the University o f Missouri College of Agriculture, Food and Natural Resources. He conducted this research with colleagues W. Andrew Cox, a former post-doctoral fellow at the University of Missouri, Allison Cox, and John Faaborg, a professor of biological sciences at MU. Credit: Julianna Jenkins, University of Missouri PhD candidate. Nearly one-third of songbird species across North America are experiencing long-term declines. Much research has been done on hatchling and adult birds, but not very much has been done on juvenile birds. 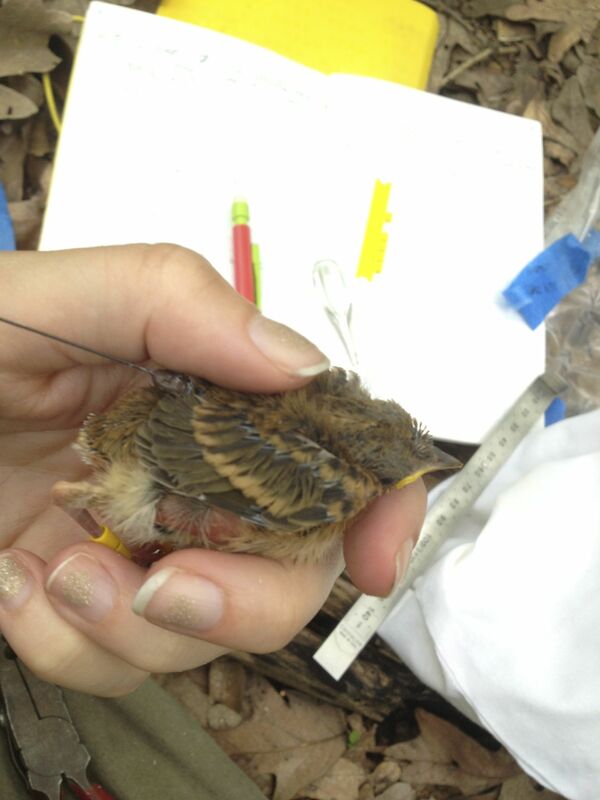 We study these birds by attaching radio bands to the legs of birds still living in their parents’ nests. We can then track their movements for several weeks to determine their survival and habitat use. Researchers banded nestling birds, such as this ovenbird, and then radio-tracked them for several weeks after leaving the nest to determine survival and habitat use. Credit: Julianna Jenkins, University of Missouri PhD candidate. We found that these juvenile birds are very vulnerable to environmental dangers particularly within three weeks after leaving their parents’ nests. The first 3 weeks out of the nest are particularly hazardous for a songbird because they are just learning to fly, they are learning how to forage and feed themselves, parental care is decreasing, and they are searching out habitat patches that will provide food and cover for the rest of the summer, which sometimes requires them to move large distances and exposes them to predators. Juvenile birds often seek different types of habitats compared to their parents. 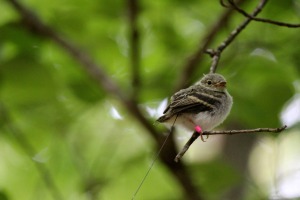 Young songbirds often prefer denser foliage such as shrub land and young forest, compared to more open, older forests where their parents may have nested. Once they find good habitat and master some of these skills, they are pretty safe and successful till the end of the summer and it’s time to migrate. It is important for conservation groups and land managers to know exactly what types of habitats need to be provided in order to protect these birds. We want to keep common birds common because conserving endangered species is much more difficult and expensive. We don’t want birds to go extinct because people like birds, they like to watch them, feed them, but more importantly, they play important roles in ecosystems such insect predation, seed dispersal, and pollination. When we see widespread declines in birds, it might also be indicating something about the health of the environment in general.